Waste bothers me. Of course I dispose of things everyday and it’s inevitable, but it just seems so wrong to go through the process of manufacturing something for it then to be thrown away so easily. With this in mind, I went to see the Waste Not exhibition by Song Dong at the Barbican, London. I had seen a few images online beforehand and so I understood the visual concept, but I wasn’t prepared for the poignant atmosphere that emerged from a collection of everyday things. Song Dong’s work deals with fundamental issues of family, and the things we surround ourselves with, creating a universal connection with every human being. He was born in China in 1966 and grew up in a modest household. The Chinese Cultural Revolution began the same year and ushered in an era of great change and upheaval. When his father died in 2002 his mother’s grief transformed into an excessive and almost obsessive practice of wu jin qi yong. This Chinese phrase, meaning waste not, stems from early communism and is a practical response to the fear of shortage. It essentially involves hoarding anything deemed useful so that one feels safe and prepared if and when something drastic occurs. 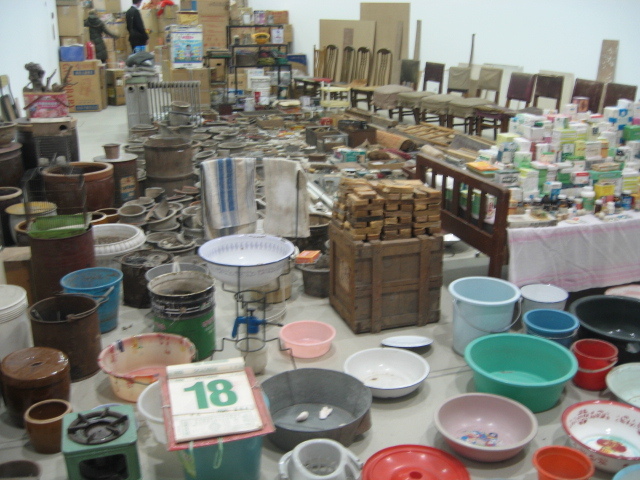 Song Dong and his siblings felt it was unhealthy for his mother, Zhao Xiangyuan, to continue to hoard so many things in lieu of dealing with the passing of his father. He decided to remove everything from his mother’s house and create an exhibition in collaboration with her, using her collected objects. Ironically his mother felt justified, exclaiming that finally all these things were useful and her hoarding had been worthwhile after all. This irony made me smile and it reflects our complex and emotional connection to objects. The exhibition was first put together in 2005 and continues to tour. Since the death of his mother, Song Dong recreates the exhibition each time with his sister and wife, keeping the family bonds alive. 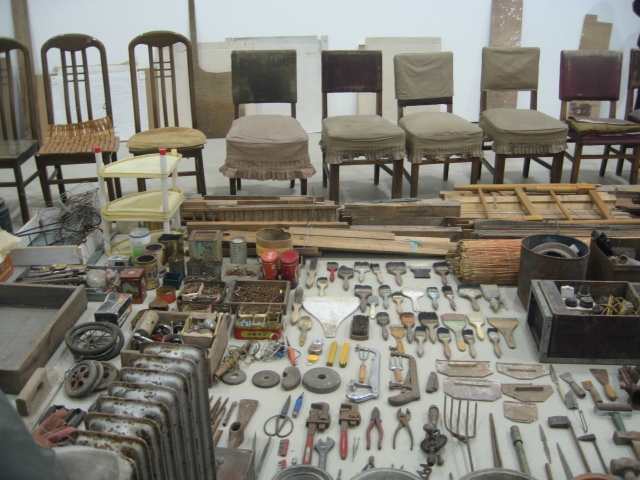 The objects are laid out in a planned way, with groupings of similar items and materials evolving into the next. It’s funny, out of some 10,000 objects, I could see resemblances to my own upbringing and my adult life now. 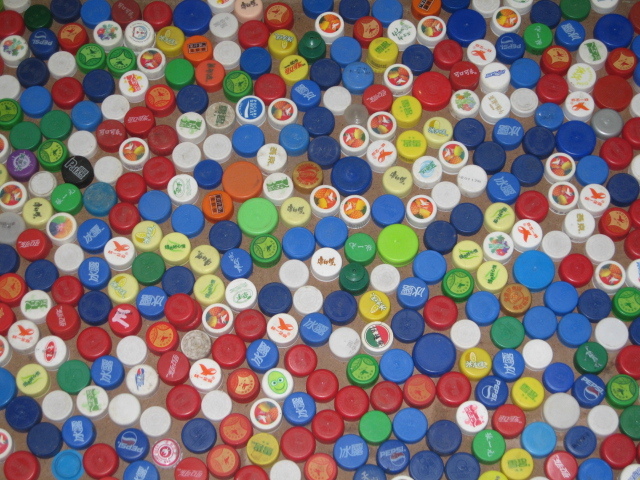 Some things seem downright silly to keep, like pieces of styrofoam, and others, like board games, aren’t actually being used, but it doesn’t seem logical to throw them away. There are sturdy carrier bags, plastic bottles, shoes, bird cages, record players, bits of metal, patched and fixed up chairs, pots and pans, chopsticks – pretty much everything you can think of. Song Dong’s mother belonged to a different era, one where rationing was severely enforced and hardship was a way of life. She clearly never forgot this. Even as more modern appliances appear in the collection and you can tell her economic situation improved, that fear of social and political turmoil remained. The collection of objects is astounding yet each piece seems somehow logical, and potentially useful. Two things struck me; the first was the environmental viewpoint that yes, most things are useful and we need to find ways to reuse and reinvent already fabricated objects and materials. Lots of people hoard but never find good uses for anything, and one day their collections end up in a skip, and all the hoarding was for nothing. The collections are sent to landfill and that’s it. Waste. My second thought was that our connection with inanimate objects is very strong. 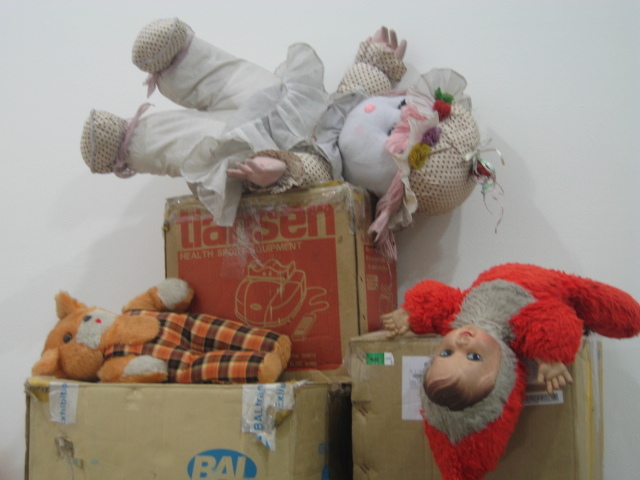 I felt emotions emanating from the exhibition and could imagine the thought process running through Zhao Xiangyuan’s mind when she chose to keep these things. Anyone who has moved house and has had to de-clutter will understand, choosing between things you don’t really “need” brings out a string of strange emotions. 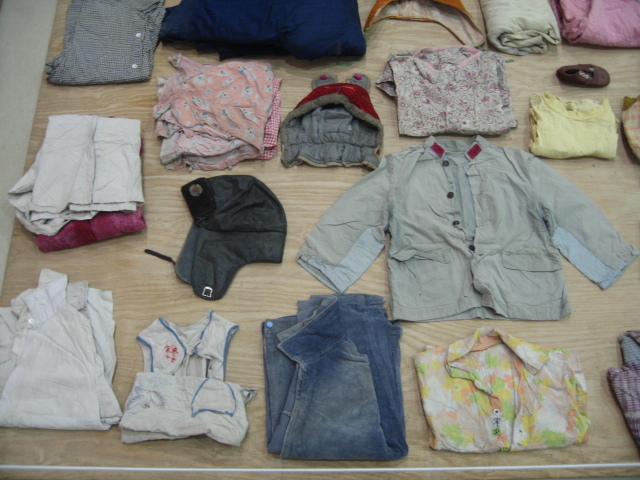 There are tiny children’s shoes, old blankets, newspapers and toys. It is a collection of memories that could transport her back to forgotten times and places. In some ways, it makes the disposal of things harder, we want to hold on to memories in a physical way and the things we surround ourselves with represent our lives. Zhao Xiangyuan could not let go of her husband and created this physical collection as a way to feel safe and keep his memory alive. Somehow all of this can become relevant to the way we view waste. Rather than unhealthily hoarding objects or constantly throwing everything away, let’s make things, construct, hammer, glue and tie; develop new hybrids from free trash. Keep your physical memories by making them useful. Sounds simple doesn’t it? Well it is, and not that long ago, people did it everyday. Now of course we call it upcycling and it’s a kind of novelty, 50 years ago in China and many other places closer to home, it was a necessity. This entry was posted in Art, Uncategorized, Upcycling and tagged art, Barbican, exhibition review, Song Dong, sustainable, upcycling, Waste Not, wu jin qi yong, Zhao Xiangyuan. Bookmark the permalink.